NO SUCTION CUPS - Ultra Convenient and Easy Install - Includes 2 Stainless Steel Adhesive Wall Mounts for Shatterproof Fog Free Mirror and Razor Holder. My fiance has been looking at shower mirrors for quite some time now. They've either been too bulky or too small or just plain impractical. 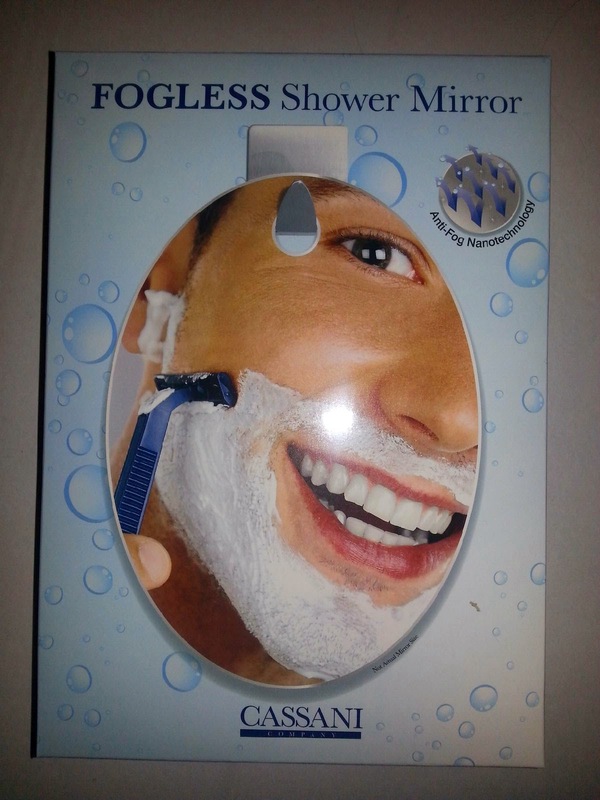 Then I came across this fogless shower mirror, it is absolutely amazing. My fiance loves very hot showers, so our bathroom gets pretty steamy, surprisingly the Cassani Fogless Shower Mirror really does stay fogless! Because he's also able to shave in the shower, the steam moistens his skin, opens his pores and gives him a nice close shave. The razor holder is also quite handy, keeping your shaver clean. There's absolutely nothing bad I can say about this mirror, it's absolutely fantastic! A couple of recommendations though, be sure to hang it of of the shower spray and never ever clean it with window/glass cleaner. They recommend soap and water or toothpaste. Harsh chemicals will remove the fogless technology.